Portuguese cyclist Andre Cardoso has been provisionally suspended after he failed a test for the banned blood-booster Erythropoietin (EPO), according to the International Cycling Union (UCI). Cardoso had been included in Trek-Segafredo’s team for the Tour de France that includes Alberto Contador. In a statement, the world governing body of cycling said the Union Cycliste Internationale (UCI) announces that Portuguese rider Andre Cardoso was notified of an Adverse Analytical Finding (AAF) of Erythropoietin in a sample collected in the scope of an out-of-competition control on 18 June 2017. 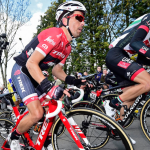 Trek-Segafredo can still replace Cardoso in their nine-man squad for the Tour under the UCI rules, which is spearheaded by twice champion Contador and German John Degenkolb. The team later announced that Spanish veteran Haimar Zubeldia will replace Cardoso on its Tour squad. In a statement, Trek-Segafredo said we hold our riders and staff to the highest ethical standards and will act and communicate accordingly as more details become available. 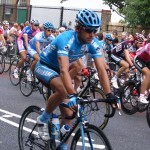 The 32-year-old Cardoso had managed top-20 finishes in the Giro d’Italia and the Vuelta a Espana. He was to be one of the domestiques of Contador in the mountains on the Tour de France that runs from July 1-23. Since 2008, Cardoso has raced professionally. This was his first season with the Trek-Segafredo professional cycling team. Before this, Cardoso raced for four years with the Slipstream Sports outfit — first Garmin-Sharp, then Cannondale-Garmin and Cannondale-Drapac. In a statement, Andre Cardoso remarked that he has already requested his B sample to be tested. Cardoso also said that getting the chance to ride at the pinnacle of professional cycling is the greatest honor he could ever hope for, and he was looking forward to doing his best for his team and himself at the Tour. The Portuguese cyclist also commented that he believes in clean sport and had always conducted himself as a clean athlete, but he realizes that this news puts a dark cloud on not just himself but also on our sport and his team, teammates, and staff. Cardoso went on to add that those people are my friends and colleagues before anything else and for whom he had unlimited respect, and under no circumstances he would ever do something that could put them, their families or their reputations in jeopardy. In the statement, Cardoso added he is fully aware that he will be presumed to be guilty and added but it is important to him to say that he is devastated by this news and he wanted to state that he had never taken any illegal substances. The cyclist from Portugal added that he had seen firsthand through his career the awful effects that performance enhancing drugs have had on our sport, and he would never want to be a part of that. Cardoso added he had always tried to be a constructive influence in the peloton and on young, aspiring cyclists and added it is his great hope that the B sample will come back as negative and will clear him of any wrongdoing. In a joint statement, the Kazakhstan Biathlon Federation (KBF) and National Olympic Committee of Kazakhstan (KNOC) have announced that all 10 members of the Kazakhstan national biathlon team that were detained by police in Austria last week at the World Championships in Hochfilzen have returned negative results. 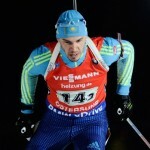 The Austrian Federal Criminal Police Office made a search of the hotel of the Kazakhstan national biathlon team was conducted on February 8, on the eve of the World Championships. Austrian authorities reported 30 officials seized a “significant volume” of items such as drugs, mobile phones and medical equipment. The International Biathlon Union then conducted blood and urine tests on the entire Kazakh team in coordination with the Austrian Anti-Doping Agency (NADA Austria). The statement further reads that all the athletes were tested in full compliance with World Anti-Doping Agency (WADA) procedures for all banned substances. The statement also reads this outcome comes as absolutely no surprise to the KBF and KNOC as the protection of clean athletes and the fight against doping, in all forms, remains a top priority for all anti-doping stakeholders in Kazakhstan. The KBF and KNOC statement also reads that this whilst we completely support the right of the Austrian authorities and the International Biathlon Union (IBU) to rigorously pursue all anti-doping detection procedures has to be conducted based on internationally-recognized standards of fairness and the presumption of innocence granted for all athletes involved. It was also remarked that such procedures are clearly outlined in the WADA Code of Conduct. The statement went on to say that it is therefore with regret that the KBF and KNOC believe such procedures have been ignored on this occasion and that the Kazakhstani athletes involved have had their fundamental rights abused by this detention. The statement also said that Kazakh athletes in particular have complained of continuous interviews until 5 am, personal data exemption, and search and seizure activities during the ongoing training process. The statement said this excessive and wrongful treatment of the Kazakh biathletes resulted in fatigue and stress that significantly limited their performances in the next day’s mixed relay event. It also reads that we urge the Austrian authorities and the IBU to investigate the whole process and treatment of the Kazakhstani athletes at the earliest opportunity to ensure such an incident is never repeated. Dmitry Trunenkov, who won the four-man bobsled at the Sochi Games, has been banned by the Russian Bobsled Federation after he tested positive last year. RBF president Alexander Zubkov, who was the teammate of Trunenkov at the 2014 Olympics, remarked we are very disappointed. Zubkov added we will look into how this happened. The RBF imposed a doping ban of four years on Dmitry. His ban is backdated to April 2016, four months before he announced his retirement from competition to focus on his role to lead a patriotic youth group set up by the Russian armed forces. Dmitry won the silver medal in the four-man event at the 2008 FIBT World Championships in Germany. The Russian bobsledder who has competed since the early 2000s also won a gold medal at the 2009 Bobsleigh European Championship in St. Moritz, Switzerland and three European silver medals, all in the four-man event. Dmitry took up sprinting originally whilst at university before he switched to bobsleigh at the age of 21. Born in the village of Taseyevo in the Krasnoyarsk region, Trunenkov has a degree in industrial and civil construction from the Academy of Architecture and Construction. Considered by many as the best driver in the Russian national bobsleigh team, Dmitry Trunenkov has twice became winner of the World Cup following results of the season for four-man bobs and once for two-man bobs. In another development, a ban of four years was announced by the Russian Anti-Doping Agency on Alexander Yargunkin, who tested positive shortly before he was due to represent Russia at the 2015 world track championships. A sanction of one year was imposed on rower Yulia Solomentseva, who won silver at the 2014 world junior championships, after being found guilty of failing to make herself available for testing. Yargunkin gave a positive test for the banned substance Erythropoietin (EPO) and was made to quit the 2015 world championships following reports that he has failed a drugs test. Yargunkin was expected to be Russia’s sole representative in race walking at the IAAF 2015 World Championship in Beijing. Nikita Kamaev, the executive director of RUSADA, had remarked Yargunkin definitely would not compete at the world championships in Beijing and added the sportsman has been temporarily suspended from competition while an investigation takes place. Kamaev had also remarked that everything that is part of the probe into this athlete is confidential information and RUSADA would not comment on anything until its disciplinary committee passes a decision. Kamaev also commented that an athlete in case of revealing possible breaches in individual disciplines is suspended from competitions for the time of the probe. Reacting to the positive test, Yargunkin then had remarked this news really was a shock for him. The athlete’s coach, Konstantin Golubtsov, had then remarked that he cannot understand how this could have taken place. Golubtsov went on to add that he wants everyone concerned to study this situation and make it clear how it has so happened that international anti-doping services have not found any banned substances in Yargunkin’s body system but RUASADA has found them. 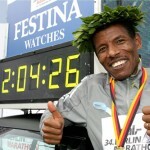 Ethiopian Athletics Federation (EAF) President Haile Gebrselassie has vowed to work with Kenya in the country’s fight against doping. Speaking in Nairobi at Kenya’s Sports Personality of the Year Awards, Gebrselassie remarked the Ethiopian Athletics Federation will start imposing lifetime bans on drug cheats as it tries to restore credibility in the wake of recent doping scandals. Gebrselassie, the two-time Olympic 10,000 meters gold medalist, added he is eager to help Kenya, the country’s neighbor, to tackle the problem. 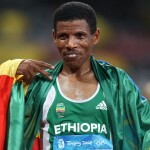 Gebrselassie added there are no shortcuts and also remarked Kenya and Ethiopia have to fight doping because if we ignore it, at the end of the day the loser will be Kenya and Ethiopia. The Ethiopian Athletics Federation (EAF) President added we don’t have a chance to get those medicines, its foreigners who bring them to destroy our sport and said he urges all sports people and the Kenyan Government let us work together and fight for our innocent athletes. Kenya, the athletics powerhouse particularly in long and middle-distance running, has topped the medals tally at different International Association of Athletics Federations (IAAF) events in the last decade, including the 2015 IAAF World Championships in Beijing. However, many of its athletes have been accused and found guilty of doping. Since 2012, around 40 athletes from the country have tested positive for banned drugs, including three-time Boston Marathon winner Rita Jeptoo, who failed for Erythropoietin (EPO) in 2014. Kenya recently introduced a law criminalizing doping. This was after the African country was declared non-compliant by the World Anti-Doping Agency (WADA) in May that almost put its participation at the 2016 Olympic Games in Rio de Janeiro in August in jeopardy. The country however managed to resolve the issues on time. Gebrselassie added his government had criminalized doping and a drug cheat now will serve up to five years in prison that is very important. The former Olympic 10,000 meters gold medalist said it is not about winning medals, but it is about protecting the next generation. 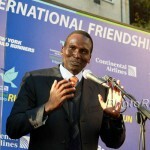 Former world marathon record holder Paul Tergat in 2004 said Gebrselassie and he competed fairly when there were no underhand dealings and when sport was sport. In another development, David Rudisha, the two-time Olympic 800m gold medalist, has claimed that some drugs are however administered to athletes without their knowledge. Rudisha said he does not agree entirely with Haile because most of these athletes usually do not dope knowingly. Rudisha further added there are of course those who take performance-enhancing drugs in full knowledge, but there are those athletes who take pills for medicinal purposes without knowing they might contain banned substances. He also said it is tricky because the standard ban should be around four years though it differs between Federations. The two-time Olympic gold medalist said banning an athlete entirely without looking at the background would be unfair. He also said it is another case if it is found the athlete doped knowingly and also added but it should not be a blanket rule. Olympic bronze medalist Carolina Kostner of Italy will be back in action this month after serving a ban of 21 months after being guilty of being complicit in the cover-up of her former boyfriend and doping cheat Alex Schwazer. Kostner has taken on Russian coach Aleksei Mishin as she makes a comeback after serving a suspension for helping Schwazer evade doping tests. Mishin has coached Olympic skaters Alexei Urmanov, Alexei Yagudin, and Evgeny Plushenko, who joined Kostner in an ice show in Italy last month. The Olympic bronze medalist finished second at an invitational in Japan in January, her first competition in nearly two years because of the suspension. The 29-year-old has not competed since March 29 but is due to take part in the International Skating Union (ISU)-sanctioned Golden Spin competition in Zagreb in Croatia from December 7 to 10. Kostner will also take to the ice in the Italian Championship Egna, a few kilometers from her hometown of Bolzano, from December 14 to 19. A six-time World Championships medalist, Carolina hopes to compete at the European Championships in Ostrava in the Czech Republic from January 25 to 29. The Italian figure skater is a seven-time Italian national champion and is also a medalist at five other World Championships (2005, 2008, 2011, 2013, 2014), four other European Championships (2006, 2009, 2011, 2014), and three other Grand Prix Finals (2007, 2008, 2010), the 2003 World Junior bronze medalist. In January 2015, Kostner was initially suspended for 16 months for helping Beijing 2008 Olympic race walking champion Schwazer but her ban was later extended to 21 months. Schwazer was recently banned for eight years after he failed a drugs test just weeks after he made a return from a three-year and nine-month doping suspension. The Italian tested positive for Erythropoietin (EPO) shortly before London 2012 but a May 12 retest of a January 1 doping sample showed positive traces of the anabolic steroid Testosterone. Schwazer confessed to going alone to Turkey for buying the banned blood booster before he stored it at the home he shared with Olympic figure skating bronze medalist Carolina Kostner. The 2012 world champion and the Olympic bronze medalist in the singles event Sochi 2014 admitted she had lied to drug testers when they arrived to test Schwazer in July 2012. However, Kostner denied any involvement with her former boyfriend’s doping. She told inspectors according to lawyer Giovanni Fontana that Schwazer was not home, in order to respect his privacy, before he was subsequently caught by testers in Italy. Originally, anti-doping prosecutors had called for a ban of four years on Kostner that would have ruled her out of the 2018 Winter Olympic Games in Pyeongchang before they settled on the agreed 16-month term. The Court of Arbitration for Sport (CAS) had declared her eligible to compete from January 1 this year after Kostner settled a dispute with the CONI and World Anti-Doping Agency (WADA). The CAS said the suspension of Carolina Kostner was backdated to April 1, 2014, based on procedural delays that are not attributable to Kostner. UK Anti-Doping (UKAD) has announced Ian Edmonds, a 41-year-old amateur cyclist, has been suspended from all sport for four years following an Anti-Doping Rule Violation. The anti-doping agency also announced a 46-year-old amateur cyclist, Robin Townsend, has been banned for four years following an Adverse Analytical Finding (AAF) for recombinant erythropoietin (EPO). Edmonds admitted to the ‘Attempted Use of a Prohibited Substance’ and ‘Refusing to Submit to Sample Collection’ during an interview with UKAD on 6 June 2016. This was after 20 capsules of Testosterone and 100 tablets of Nandrolone were seized by the UK Border Force on 10 April 2016. This parcel of anabolic steroids was addressed to Edmonds, who was a member of Mapperley Cycling Club. UKAD Director of Operations, Pat Myhill, commented the ordering of Prohibited Substances online by those subject to the anti-doping rules continues to be a major concern for UKAD. Myhill added whether they are obtained in an attempt to improve sporting performance or for aesthetic purposes, a significant threat is posed to both clean sport and public health and also said ordering Prohibited Substances via the internet may result in a ban from all sport and, in some cases, constitute a criminal offence. The UKAD Director of Operations also said the Edmonds case is an excellent example of how we work alongside law enforcement partners to deter and detect doping in the UK by targeting the supply of illicit substances. Myhill added he would encourage anyone who has information about the purchase or supply of performance and image enhancing drugs to contact us in confidence via 08000 322332 or via reportdoping.com. Edmonds is banned from all sport from 1 August 2016 until midnight on 1 August 2020. Townsend, who previously rode for Team Swift, was banned for a period of four years earlier this year after he tested positive for the stimulant Modafinil, following an in-competition test at the Burton and District Cycling Alliance 100 Miles event on 5 September 2015. The same sample was re-tested for Erythropoiesis stimulating agent on 8 December 2015, as a result of intelligence being passed to UKAD and the re-analysis returned an AAF for EPO. 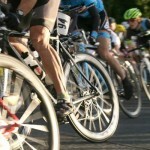 The amateur cyclist was subsequently charged with an Anti-Doping Rule Violation pursuant to Article 2.1 of the World Anti-Doping Code – presence of a Prohibited Substance. The case was heard in front of an independent National Anti-Doping Panel and it was ruled out by the panel that the period of ineligibility of four years should run concurrently with the four-year sanction already imposed on Townsend. The amateur cyclist is banned from all sport for four years from 8 October 2015 to midnight on 7 October 2019. Myhill added the receipt and use of information and intelligence is critical to delivering an effective anti-doping program. The UKAD Director of Operations said we received intelligence in the case of Robin Townsend, which we assessed and acted upon by undertaking additional analysis of the original sample and added this has resulted in a further adverse analytical finding. The Court of Arbitration for Sport has upheld an appeal by the International Association of Athletics Federations that doubled two-year ban on Kenyan marathon runner Rita Jeptoo. Rita became the first high-profile athlete of Kenya to fail a test after she tested positive for the performance-enhancing drug Erythropoietin (EPO) in 2014. The ruling means Rita forfeits her 2014 Boston and Chicago Marathon titles. Jeptoo is now banned until 30 October 2018 and has also been fined 15,000 Swiss francs (£12,396) as a contribution to the legal fees and expenses of IAAF. The CAS ruling, which came on appeal, means a possible end of Jeptoo’s running career. In its verdict, the CAS said it has doubled suspension on the athlete and declared all of her race results from April 2014 onward null and void, effectively stripping her of a number of wins, including the 2014 Boston marathon. The CAS verdict further reads that Rita has to forfeit any of the associated titles, medals, prize money and appearance money. The IAAF had appealed that the CAS extend a two-year ban imposed by Athletics Kenya in January, 2015. The CAS said doubling the length of the original ban was justified as the panel had been comfortably satisfied that there are aggravating circumstances surrounding the case. Athletes can be banned for a period of four years over a first offence if there are aggravating circumstances. It was ruled by the CAS panel that it was obvious to it that Rita Jeptoo used EPO as part of a scheme or plan and cited evidence including her long relationship with the unidentified doctor and multiple visits to see him which she hid from her manager and coach. The ruling stated the “undisputed source” of the red blood cell-boosting hormone was an injection by her doctor. The CAS panel also criticized Rita for deceptive and obstructive conduct throughout the proceedings. The former coach of Rita is currently facing criminal charges in Kenya. He is accused of providing Jeptoo and another athlete with banned substances although CAS said that Jeptoo hid her EPO use from her coach and manager at the time. The former manager of Rita is also facing doping charges, although they relate to him allegedly providing two other athletes, not Jeptoo, with banned substances. Coach Claudio Berardelli and manager Federico Rosa, who are both Italian nationals, have denied the charges. Jeptoo, one of most successful runners in Kenyan history, was all set to be crowned World Marathon Major Champion for 2014 but the ceremony was called off soon after news of her failed test emerged. She was due to earn a $500,000 US bonus for leading the World Marathon Majors series standings for the combined 2013 and 2014 seasons and won back-to-back Boston and Chicago titles in 2013. The 33-year-old remarked she may have been prescribed banned substances at a local hospital after a road accident. 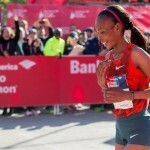 Jeptoo spoke last week about her plans to make a return to the competition once her initial ban of two years expires. Noah Busienei, Jeptoo’s partner, remarked on Wednesday they were expecting that the punishment might be extended after the International Association of Athletics Federations appealed what it felt was a lenient ban imposed by the Kenyan track federation. Busienei remarked they had said they would add two years and she was aware of that and further commented there is no other avenue available to appeal the decision and we shall decide the way forward. 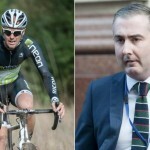 Dan Stevens, the whistleblower at the centre of the investigation by Sunday Times into the practices of Dr Mark Bonar, has issued a warning that doping is an “endemic” problem in cycling. The 40-year-old amateur cyclist, who was prescribed banned performance enhancing products by Dr Bonar, said doping may have become far more sophisticated in the upper echelons of the sport and added other doctors like Bonar are operating. Stevens made these comments while providing evidence in front of a parliamentary committee. The chair of UK Anti-Doping (UKAD) admitted to shortcomings in its handling of intelligence relating to Dr Mark Bonar. Speaking before the parliamentary committee, Stevens explained how he was able to pick up drugs like Erythropoietin (EPO) at high street chemists. The amateur cyclist added the problem does not stop at Dr Bonar and further commented that other doctors around the country are engaging in similar practices. Stevens said there are a number of other doctors working out of anti-ageing clinics and added there are a number of anti ageing doctors in the UK advertising that they will provide human growth hormone and testosterone for anti-ageing purposes. Stevens described how met Bonar on the internet and ended up with prescriptions for EPO, human growth hormone, and thyroxin over the course of several visits. The cyclist said he experienced “huge effects” and a “15 to 20 per cent performance gain” during the three-month period in which he was taking the products. Dan Stevens was called upon by UK Anti-Doping in January 2014 to provide an out-of-competition sample but refused to comply. He was given a ban of two years and then approached UK Anti-Doping to provide information relating to Bonar in the hope of seeing that ban reduced. Stevens said he provided evidence on Bonar but was told by the body’s head of legal, Graham Arthur, that it was “of little to no use” and his ban was upheld. Stevens later provided evidence to Cycling Independent Reform Commission (CIRC) that recommended his ban be reduced to 21 months, which was honored by UKAD. Stevens repeatedly used the word “endemic” for describing the issues faced by cycling and the sport as a whole. He commented there is not a lot of testing going on in amateur cycling and added we are a long way behind what athletes could be using at elite level. Stevens remarked people at amateur level are potentially using what elites were using 15 years ago and the elites could be using far, far more sophisticated stuff. Stevens also remarked Erythropoietin has been around for over 15 years and there are a strong of new substances and chemicals that are “potentially undetectable” that could be used on top of in or even to mask it while highlighting the names of Beloranib, Myo-inositol trispyrophosphate (ITTP), GW1516, and AICAR. 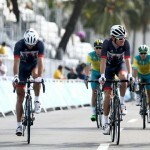 The cyclist also said the problem starts before people are becoming athletes. Stevens highlighted the easy availability of information on the internet regarding doping practices and on sports forums like bodybuilding and claimed it is so easy for any athlete of any level to get introduced to banned products even at their local gym. 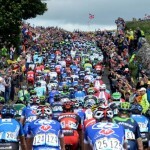 According to an article that appeared in the Sunday Times, a British doctor has claimed he provide performance-enhancing drugs to many clients, including unnamed British Tour de France riders plus other sporting clients. The doctor in question, Mark Bonar, was quoted by the story as saying that he assisted the athletes obtain the substances that are forbidden under anti-doping rules. Undercover reporters were told by the 38-year-old doctor that banned performance enhancing drugs were prescribed by him to 150 elite sportsmen, including British Tour de France cyclists, an England cricketer, Premier League footballers, a British boxing champion, tennis players, and martial arts competitors. The reporters were told by the doctor that he had treated sportsmen from the United Kingdom and abroad over the past six years banned substances such as Erythropoietin (EPO), anabolic steroids, and human growth hormone. Bonar described the performance improvements were “phenomenal”. Bonar was secretly filmed by an undercover reporter at a private London clinic. The reporter pretended to be an athlete who was experiencing difficulties in recovering from training. In a video recording, Dr Bonar tells the ‘reporter athlete” that growth hormone and testosterone are very important for recovery and also in building strength. Bonar said obviously some of these treatments he use are banned on the professional circuit and added so you have to be mindful of that. Bonar added he had worked with lots of professional athletes who do use these treatments, but it is how you do it. The initial cost of the consultation between the “reporter athlete” and Dr Bonar was £780. The athlete returned to the doctor after a period of two weeks and was told his blood tests were normal but Dr Bonar still suggested continuing taking banned substances. The doctor mentioned the levels of hematocrit in blood and talked about how they could be improved. Dr Bonar said the way that you would boost that potentially is to use Erythropoietin. Bonar also suggested that the “reporter” used DHEA and Injected growth hormone that are also banned in sport. The doctor also offered the reporter an injection of a slow-release testosterone at that point in time. During the third meeting, another undercover reporter accompanied the first posing as his uncle and made it clear that the athlete was aiming to make it to the British Olympic squad. It was conceded by Dr Bonar that though the patient had no medical problems, the levels were ‘suboptimal’ and justified the prescribing of banned substances to him. Dr Bonar said the truth of the matter is that drugs are in sport and what he does is that he prescribes responsibly and he tries to keep his patients the optimum level of normal. Responding to the Sunday Times, an inquiry into the taxpayer-funded UK Anti-Doping (UKAD) watchdog was ordered by the British culture secretary John Whittingdale. The allegations were described by Whittingdale as “shocked and deeply concerned” and he suggested that UKAD’s chief executive Nicole Sapstead should resign. The world governing body of cycling, the UCI, has handed a suspension of two years to former rider and directeur sportif Michael Boogerd. In a press release issued by the UCI, it confirmed that the suspension of Boogerd would run until December 21, 2017. The statement on the UCI’s website reads the Union Cycliste Internationale (UCI) announces that Michael Boogerd has been sanctioned with a two years’ ineligibility for the anti-doping rule violations he committed during his cycling career. It was further added that the ban is effective until 21 December 2017. The UCI also mentioned that the case has been resolved via an acceptance of consequences as provided for by the World Anti-Doping Code and the UCI Anti-Doping Rules and the UCI will not comment any further. In a statement, Boogerd said he is bearing the responsibility because of his voluntary confession on March 6, 2013 and would accept the consequences of decisions that he had taken in the past. Boogerd added he did not receive a reduced ban as he was always alone and ready to tell his own story and not about other riders of coaches. In a statement, the Roompot team confirmed that Boogerd would not fight the suspension and added we wish Michael and his family a lot of strength in this difficult time and hope in the future to re-use his knowledge of and love for cycling. Boogerd would not be able to continue in his role as a directur sportif for the Roompot – Oranje Peloton Pro Continental team. 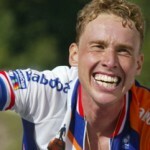 In addition to this, the results of Boogerd from 2005 to 2007 will be scratched from his palmares that included a victory at the Dutch national championships in 2006. In an interview in 2013, the former Rabobank rider confessed to having used the banned blood booster EPO, cortisone, and blood transfusions. Boogerd, who was an official with the Dutch second-tier team Roompot Oranje last season, said he used banned substances at the end of his career from 1997 to 2007. Nicknamed the “Boogie-man”, Boogerd was appointed team manager of Team Roompot, a UCI Professional Continental cycling team launching in 2015. Boogerd was a specialist in the one-day classics who won the Amstel Gold race in 1999 and edged Lance Armstrong into second place, and had two stage wins in the Tour de France. In 1993, he turned professional with the WordPerfect–Colnago–Decca team that would later become Racobank. The Dutch former professional road bicycle racer was one of the leaders of a generation of Dutch cyclists in the late 1990s and early 2000s along with teammate Erik Dekker. The specialties of Boogerd were hilly classics such as La Flèche Wallonne, Liège–Bastogne–Liège, and the Amstel Gold Race in the Ardennes week and the Lombardian races in the Fall, and mountain-stages. Boogerd has been Dutch Champion three times, in 1997, 1998 and in 2006.Boogerd finished 5th overall in the General classification in the 1998 Tour de France that was his highest finish ever in the Tour.